The other day, Little Miss Green spotted some flip-flops in a bargain bucket outside a shop. They were 10 pence; yep, you read that right, 10 pence. My first thought, naturally, was that they were made from plastic. But ya know, unless you’re going to buy a pair of biodegradable shoes, nearly all shoes need a final resting point. I sell decent ones (we all know how quickly our angel’s feet grow when you’ve just splashed out on a new pair), give away others, or send them off the the charity shop or shoes / textiles bank. Anyway, the point of this post is not about the shoes, it’s about our habits. 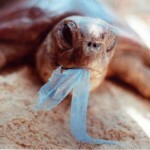 Last week I posted up about a ban on plastic bags, which I encouraged you all to sign. If you’ve not done it already, please pop over there and add your name to the list. Little miss Green went into the shop while I waited outside. She came out with her beloved flip flops in her hand with big wide eyes. “You’ll never guess what!” she exclaimed. and she went on to demonstrate, in only the way an eight year old can, the various ways in which she could carry her flip flops home in her hand, using the straps as a handle. Adults eh? Who’d have ’em? You put the rest of us to shame ; I went yesterday to the local shop dutifully took my reusable bag. Today I didn’t think about going until after I’d finished at school and didn’t have a bag, so unfortunately had to take the carrier supplied. It will get reused , but that is not the point, I have all these reusable bags and one lapse has made me have to take a carrier. The plastic bag offer is a standard response from shopkeepers everywhere. Everywhere that is where they are not banned. The answer is simply to ban the plastic bag. People would soon switch to their own bags. The only difficulty is large purchases which involve many plastic bags. That is an issue which needs to be resolved to replace all possible uses of the discarded bags. Before a ban is introduced, everyone should refuse to take one. That is the Zero Waste attitude as shown by LMG. LMG is an example to all. I have shoved about ten reusable shoppers into my boot to save having to buy yet another on my next impromptu shop. Just a note, my son put away our shopping yesterday, so I didn’t notice until this evening, that Morrisons have now started using an outer bag of PAPER to wrap their cheese in. It’s brown paper, and yes, it does have a small plastic window in it, but it is NOT a wholly plastic bag anymore! (as you may note, as well as shoppers I also didn’t have any plastic containers with me, so had to have my cheese wrapped up. [shame on me]). what a lovely story. The flip flops look lovely and i hope we have lots of nice weather for her to enjoy wearing them. Im still trying to train my children about recycling and since they have ignored me on bringing home plastic bags all the time i had to try something drastic. My children are teenagers and love going to the shop themselves and coming home with pop and crisps. Instead of me just using the plastic bags as bin liners like i did before i now put them on a coat rack near my front door. Got about six from each shop hanging on each hook already this week. I keep telling them to take one with them and im hoping that when they see them building up over the weeks they will see sense and stop bringing them home. @John Costigane: I agree we should ban the bag, John, I really don’t know why this hasn’t been done across the UK. It’s such as simple step. Do manufacturers honestly think we will stop shopping in their establishments? @Carole: Interesting about the paper-wrapped cheese Carole. I never shop in Morrisons but might pop in just to gawp at the cheese! @Sue: Hi Sue, what a great idea to hang the carrier bags by the front door. I’m sure your children will gradually get used to the idea. This small step can make a big difference and will help them to see ‘waste’ in a different light. From there is the opportunity to think about other recycling opportunities. Have you seen the Onya bags which are like a rucksack? Maybe your kids would like one of those each?